The Breslow Center is one of the busiest and most experienced CoolSculpting practices in New Jersey. This non-surgical alternative to liposuction rids the body of fat bulges with no needles, anaesthesia or downtime. CoolSculpting uses a fat-freezing technology called Cryolipolysis to target problem areas without damaging the surrounding tissue structures. Your body’s lymphatic system then processes and eliminates the frozen fat cells over the course of 4 to 12 weeks, with no downtime or scarring. The result is a smoother, more attractive body contour. 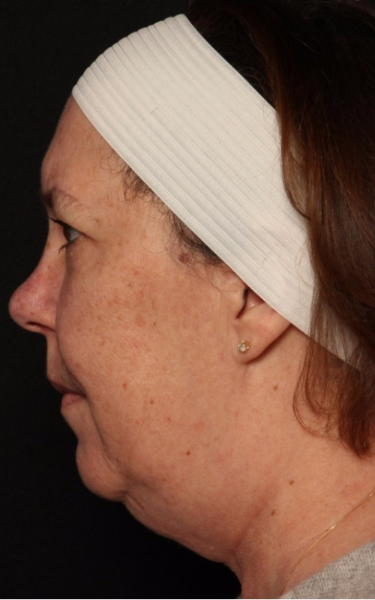 The entire treatment is non-invasive and painless, with no needles or incisions required. A vacuum-like applicator is applied to the skin surface of the targeted area and gently draws the skin between the applicator’s two cooling panels. The fat cells in that area are then frozen and will be eliminated by the body naturally over time. The treatment is painless, and most patients report feeling only a slight tugging and a cooling sensation. Because there is no discomfort, patients are relaxed enough to perform everyday activities during their session, such as checking their email or reading. 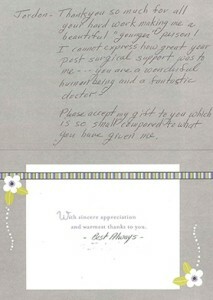 We also provide our patients the option of watching TV or a movie during treatment. Actual patients of The Breslow Center. 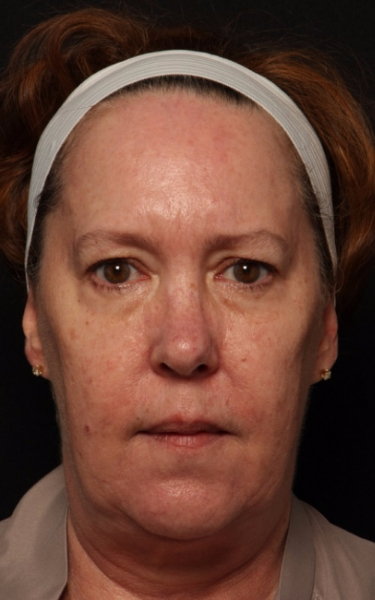 After photos taken 90 days post-treatment. Because CoolSculpting is a non-surgical treatment, there is no downtime after a session. There may be some slight redness, bruising and/or numbness in the treatment area for a short time. Patients can return immediately to work and other normal activities, including driving and exercise. The results of a session occur gradually and can be seen as early as three weeks afterward. The patient can expect to enjoy the full results after two to four months. It’s very safe. The science behind Cryolipolysis was initially developed at the Harvard Medical School, and since then over 60 studies have been published on CoolSculpting, confirming its safety and effectiveness. Over 4 million CoolSculpting treatments have been performed worldwide. Sometimes those stubborn pockets of fat around the midsection just won’t go away, no matter how much we diet or exercise. With CoolSculpting, once the fat cells in those areas are treated and eliminated, they’re gone for good! CoolSculpting doesn’t require needles, anaesthesia or downtime, and the treatment is less expensive than surgery. Liposuction is a more invasive approach to body contouring that also provides dramatic results. Both liposuction and CoolSculpting are considered long-term treatments. 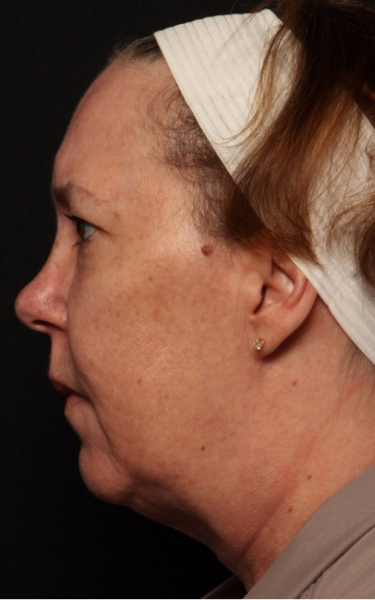 To determine which of the two is right for you, we suggest that you come in for a consultation. WHAT PARTS OF THE BODY CAN BE TREATED EFFECTIVELY? 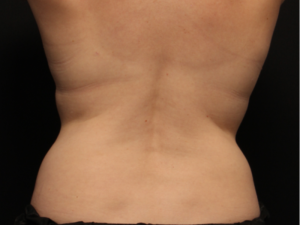 The treatment sculpts the body in areas such as love handles, muffin tops, bra fat, above the knee, and abdomen. Our clinicians have followed the CoolSculpting University’s official training program and are experienced in addressing all areas of the body that can be sculpted. A CoolSculpting treatment is usually performed over multiple sessions that can last anywhere from one to three hours each, depending on the size and number of areas being treated. As long as there is fat that can be pinched, each session can sculpt 20-25% of that fat away. During your first consultation, our certified specialists will answer questions you might have about the number of sessions to expect – ask them to show you pictures that will help you see what one treatment can do vs. multiple treatments to a certain area. 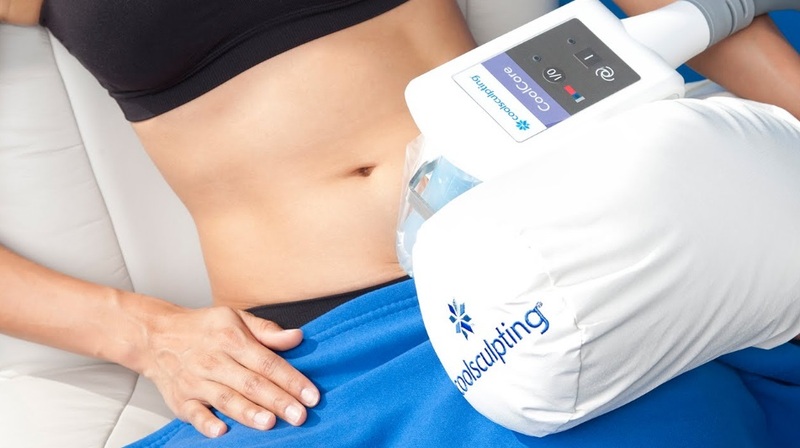 DOES COOLSCULPTING HELP WITH WEIGHT LOSS? CoolSculpting isn’t a substitute for proper diet and exercise. However, at The Breslow Center we have seen the treatment’s excellent outcomes kick-start patients into weight loss by motivating them to lead a healthier lifestyle. WHAT IS THE AVERAGE COST OF A COOLSCULPTING TREATMENT? As is the case with most cosmetic procedures, pricing for CoolSculpting varies depending on the patient’s goals and needs. After seeing great results from their first session, many patients will want to undergo further treatments, while others will be satisfied after only one session. We therefore suggest that you schedule a consultation to determine which areas you would like to sculpt and how many sessions are required. Do you want to get rid of love handles, a tummy pooch, saddle bags or another troublesome fat bulge that you are having a hard time losing with diet and exercise alone? If you’re looking for an effective, non-invasive, and safe body contouring treatment with NO downtime, NO needles, and NO pain, come see us. 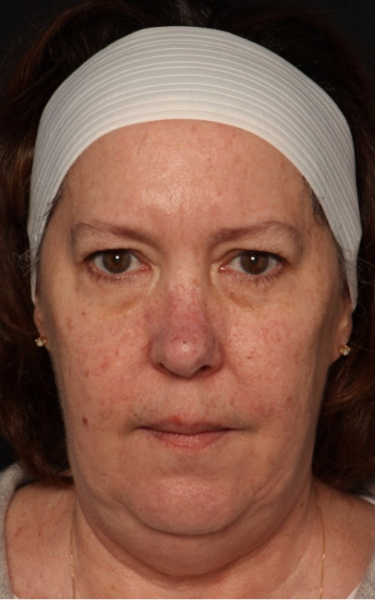 Schedule your personal consultation with The Breslow Center in Paramus, New Jersey today!